So make it spicy (following the recipe) for adults and less spicy for kids. Boil the noodles for 4-5 minutes or as the package directions. Do not over cook. Wash under cold water and keep aside. Rinse and prepare all the vegetables as directed. Cut paneer into small cubes and shallow fry it. Keep fried paneer aside. Heat the wok and add 2 tablespoons oil. When the oil is hot, add the minced ginger and stir-fry briefly until aromatic. Add all the vegetables except bean sprouts and stir fry on high heat for 2 minutes. Add boiled noodles carefully so they don’t break. Add fried paneer cubes to it. Stir in Soy sauce, Hot & Sour Sauce, Maggi Hot & Sweet sauce, Garlic chili sauce and sugar. Stir in the bean sprouts. Cook for a few more seconds. 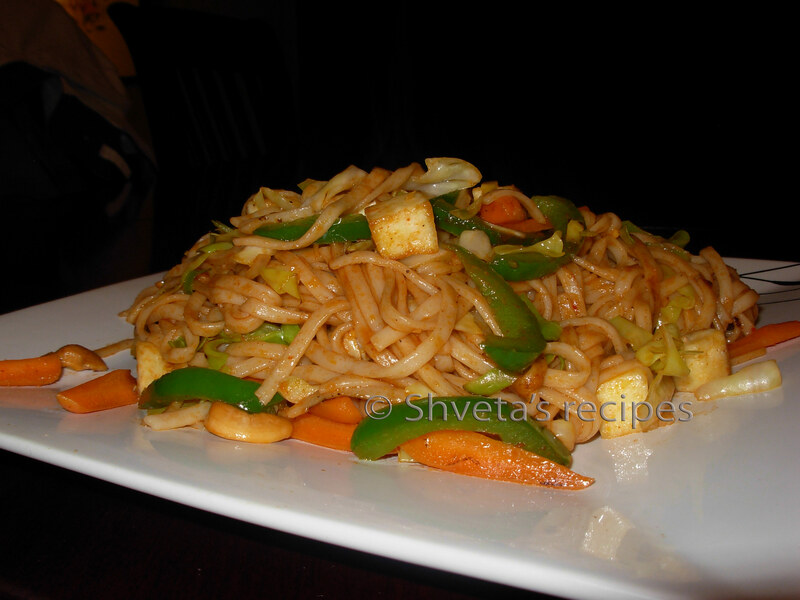 Garnish Chow mein with cut spring onions and serve hot.